Bridal Veil Falls is a spectacular 365-foot two-pronged waterfall overlooking Telluride’s box canyon, and is a must-see if you’re visiting the area. Bridal Veil Falls Telluride is Colorado's tallest waterfall at 365 feet. The falls are located 2.6 miles east of town if you follow Colorado Avenue. It is about a half-hour by car (four-wheel drive is recommended) or an hour if you walk from the parking lot. 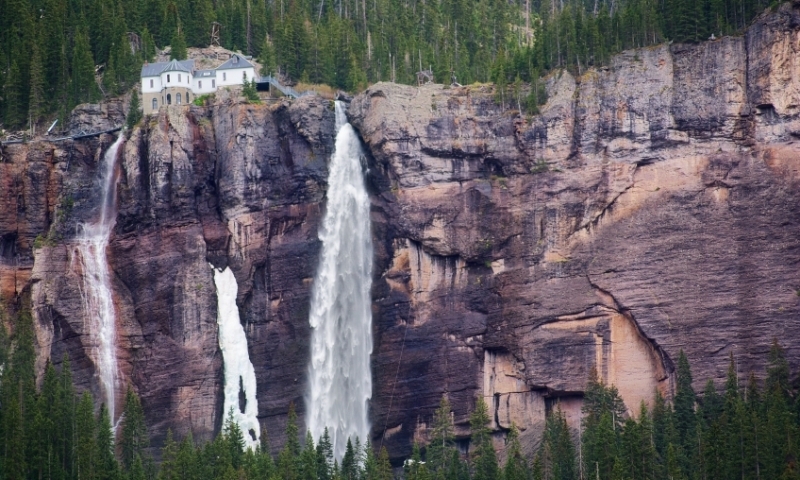 Telluride's Bridal Veil Falls is Colorado’s tallest waterfall and home to the second-oldest operating AC generator in the state. Standing beneath the towering 365-foot waterfall is absolutely breathtaking (and chilly!). Bridal Veil Falls, Colorado, is 4 miles east of Telluride. Just follow Colorado Avenue out of town to the parking lot near the Pandora Mill. Four-wheel drive is recommended for the 1.8 mile climb up rocky switchbacks after the mill, but the road is OK for hiking too. The waterfall freezes over in November, but is still worth the effort even if you don't make it all the way up to the falls. The road up to Bridal Veil offers plenty of opportunities to soak in some of the best views of Telluride and the steep box canyon surrounding it. The road is also popular with mountain bikers and 4 x 4 vehicles coming over Black Bear Pass. 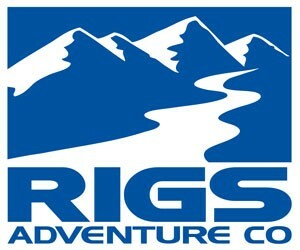 In the winter the falls freeze over and transform into one of North America’s most challenging ice climbs. The hydropower facilities and residence are closed to the public except for open houses. The house above the falls has an aerial tramway residents use to get home. The power plant is the second-oldest operating AC generator in the United States. The oldest is the Ames Hydroelectric Plant in nearby Ophir.